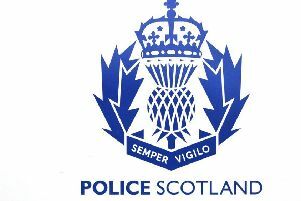 Retailers and residents are being warned to remain vigilant after a spate of iTunes scams in East Renfrewshire. The scammers make contact by phone, email or text and state that they are from HMRC, DVLA or the Home Office. The person who is contacted is then told they have an outstanding debt which requires immediate payment using iTunes gift cards. Steve Fox, East Renfrewshire Council Trading Standards manager said: “It is important that residents are aware of the dangers of this scam as the callers sound authentic and can be convincing. If you are unsure if the call is genuine, do not give out any personal details and immediately report the matter to Citizens Advice Scotland. We urge residents with elderly relatives to warn them about the scam as victims who agree to follow the instructions are generally not aware of the purpose of iTunes gift cards”. Victims are told to visit multiple retailers to purchase a large volume of iTunes gift cards without disclosing the reason for their purchase. In some cases, they have told victims that a warrant has been issued for their arrest and will be sued for the full amount, which is typically hundreds to thousands of pounds. The fraudsters do not need the physical card to redeem the value and once the code is sent, the money is lost with victims defrauded of large sums of money. One Barrhead resident, who was targeted by the scam and was supported by Trading Standards to get some of his money back, said: “The guy on the phone was very convincing. I still can’t believe that it was a scam, they had an answer for everything, but the giveaway is when they tell you not to tell anyone – why would HMRC tell you not to tell anyone? It’s important that people are aware of these scams so that no one else loses money”. HMRC or any government body will never phone, email or send a text message to inform of a penalty or ask for any payment in the form of iTunes vouchers. To contact Citizens Advice Scotland for more information or advice call 0345 404 0506.